When Jamie started banging on about using brisket to save money, I didn’t need any convincing. I’ve been a fan of this largely ignored beef cut for years; I’ve got 5 or 6 recipes around here somewhere including the mighty cholent, a very popular dinner in this house. I bought a lovely 2.5kg piece for £19, divided it up and froze half. I roasted the other half to serve 4 people generously and still had four portions left. Two of them ended up in this beef rendang. I don’t often get out to a Thai restaurant but this is my go-to order. It’s a thick, rich and deeply coconutty curry with a low, slow-burning heat. And this recipe is a blinding version of it. As with every single Jamie recipe in existence I’ve dialled the heat right down but it still packs a spicy punch that really delivers. This one is going on regular rotation in my house. Based on a recipe from Save with Jamie . Blitz the paste ingredients together with the coriander stalks in a food processor with some salt. Add some oil to a pan and fry this paste off for about 15 minutes. Add the beef, stock and coconut and bring to the boil. Simmer for another 15 minutes, grate in the lime zest and add lime juice to taste. Season and serve with rice, flatbreads, coriander leaves and rice. 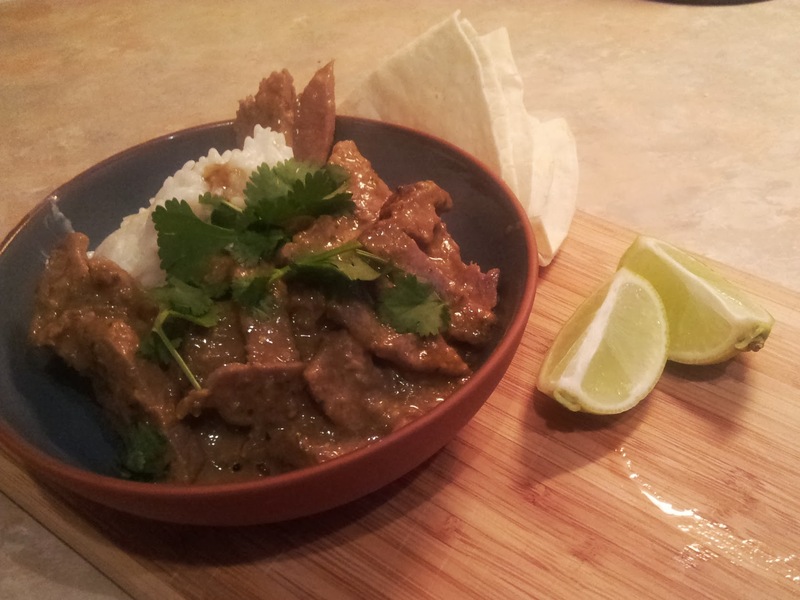 This entry was posted in beef, curry, food, lime and tagged jamie oliver on September 29, 2013 by Gary. A couple of years back Jamie Oliver made waffles without using a waffle maker. He used, rather brilliantly I thought, a griddle pan. Genius! Searching around for the recipe, it’s fair to say there’s some grumpy people out there that have tried it. Esther of the always-readable Recipe Rifle was particularly scathing about them, Kooky Girl has issues, and the ingredients list morphs from one post to another. It appears there was a discrepancy when recording where Jamie might’ve said “tablespoons” instead of “teaspoons”… it’s a bit of a mess. I’m no stickler for an exact recipe, but this is one of those things where you need the right balance of crispy, fluffy and rising to make it work. Thankfully I found a great new blog as a result of this bout of surfing, Always Order Dessert. Alejandra Ramos struggled to find a consistent recipe too, so engaged the brain to invent one. Using this and a handful of other blogs I came up with a recipe I was perfectly pleased with. Mindful of problems people were having with flipping the waffle, I had the brainwave to Foreman it. Propped up by newspaper so the grill stayed level, I cooked the batter on a George Foreman grill. This meant they cooked evenly on both sides, no flipping and they developed golden ridges. Flavour-wise, what we really have is American-style pancake batter cooked to a crisp so it’s not quite waffley but hits all the right points. 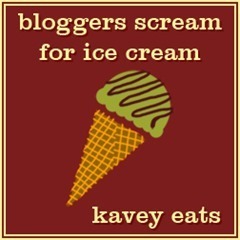 I’m entering this in Kavey’s monthly Bloggers Scream for Ice Cream challenge. I’ve entered this challenge last year for sorbet, this month the theme is waffles and cones. If you’re looking for some food inspiration go check out Kavey Eats, there’s tons of great food and reviews over there. The ice cream component of my waffles was ready-made; they’re not high-eatin’ but I really like Ben & Jerry’s Core range. This is Winter Berry Brownie, a really fruit ice cream with great big chunks of brownie. Whisk together the egg, milk and vanilla. Sift in the flour and baking powder and whisk until really smooth. Stir in the salt, sugar and lemon juice, and then dribble in the butter whisking all the time. Leave to rest in the fridge for 30 mins. Preheat your George Foreman grill to high. When hot ladle on the batter and close the grill. Cook for 5 – 7 minutes until golden brown and lever off with a wooden spatula. 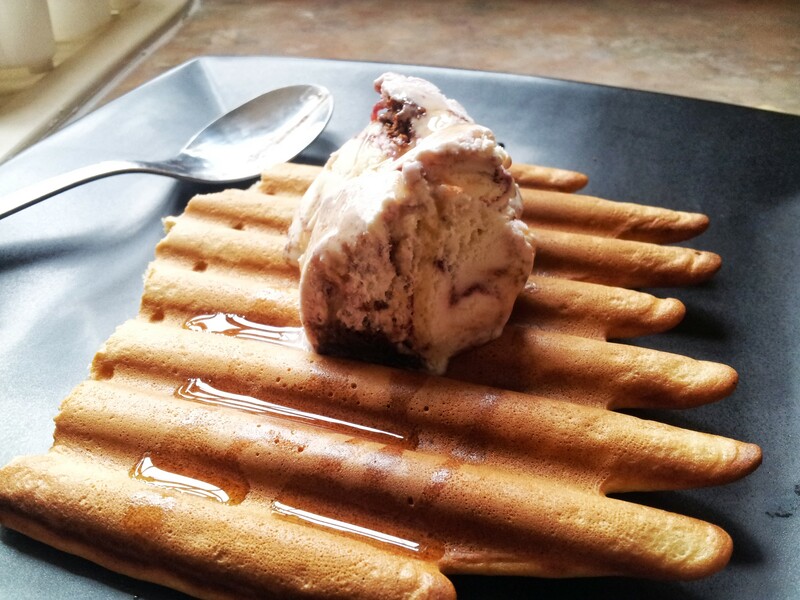 Serve with ice cream. This entry was posted in batter, food, ice cream and tagged jamie oliver on May 19, 2013 by Gary. This posts commemorates two firsts. Incredibly, the first time I have ever made a crumble. 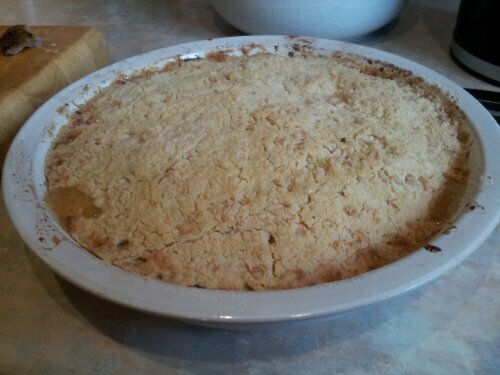 I can’t quite figure out why; crumble was a regular fixture following my Mum’s Sunday roast, and still get treated to one every now and then. I think it was rewatching all of Friday Night Dinner, where “crimble crumble” is the weekly dessert. Second, and even more incredibly, it marks the first time I read Jamie Oliver’s The Naked Chef . Yes, his first book. I’ve read loads of his, and watched the series at the time. Yet mystically, I’ve never read it. I grabbed a copy from the library, and it’s so interesting to use it as a time machine to see how his style has evolved. Back then you can see glimpses of his verve and fun, but he is still restrained by the River Cafe style (which is great, but almost too simple for Jamie). The names of dishes are also intricate and a little prosaic. Still great eating though. Preheat the oven to 200°C. Peel and core the apples, finely slice (I used a food processor) and tip into a baking dish. Dust with the cinnamon. Whizz the other ingredients in a food processor until it resembles crumbs, then tip over the fruit. Bake for 25 minutes or until the top is golden and bubbling. Serve with custard, cream, ice-cream and other sweet dairy things you can find. This entry was posted in apples, food and tagged jamie oliver on December 19, 2012 by Gary. I look forward to writing this post every year; a chance to reflect on the year’s cookbook shelves. Polpo gave us a travelogue round Venice’s cicchetti bars, Madhur Jaffrey returned to explore the UK’s curry scene, and LEON released their fourth impressive volume. As baking fever truly took hold, with Jubilees and the like to celebrate, the market groaned with cupcake and muffin recipe manuals designed to capture Great British Bake-Off mania. It sometimes felt as though this was the only part of the market churning out books! From the non-cake section I’ve compiled my favourite cookbooks of 2012 that have in turns entertained, educated and enlightened me. Yotam Ottolenghi has become one of those chefs for whom I pay close attention. Whatever he’s up to I’m interested, as it will certainly have an unusual angle that is completely new to me. And this book goes some way to explaining why. Part holiday guide, part autobiography and all good eating, Jerusalem is a culinary tour of his and long-term collaborator Sam’s childhood home, knocking on all the doors of their youth and exploring the complex political and religious web that covers the city. They grew up in opposite corners of Jerusalem and their “same but different” upbringing is a fascinating story. Most recipes have some potted history alongside it, and the recipes themselves are of course outstanding. Packed with bold flavours and its sings of people making the most of what little they have. In many cuisines crowd-pleasing dinners have peasant roots; warming, familiar, generous. These qualities abound throughout the book. Perfect for: adventurous types with a love of aubergines! Some may well groan at this inclusion – I imagine like 30 Min Meals it has set some sort of sales record – and the same tired old moans about adhering strictly to 15 minutes as an absolute time limit will surface no doubt. But I cannot ignore this book. Like its almost slothful predecessor it had genuinely changed the way I prepare the evening meal, freeing me of the usual rules and conventions encouraging me to think in more adventurous ways. Deconstructing a chilli con carne, not in the modern British way so loved by Masterchef finalists, but in a sensible way to separate all the elements you love about it and bring together at the end is simply brilliant. This approach echoes throughout the book, touching on loads of great world cuisines along the way. There is a reliance on kitchen gadgetry but none of it is gratuitous. It is sensible and well-judged. I defy anyone not to take at least one of these great recipes into their weekly repertoire. Perfect for: people looking to do more in less time. This came out of nowhere. 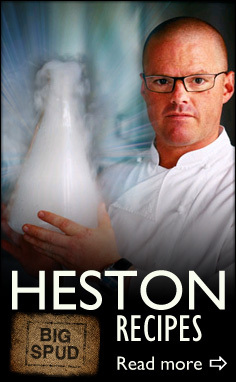 I was a little familiar with Kiwi chef Alex Mackay so had almost no expectations for this book. I knew it was going to be great when I’d got about half way through my first flick-through and had to stop putting post-it notes against the ones I wanted to make, because ten is too big a for a to-cook list. The premise is simple: take one ‘mother’ recipe, then spin it into five proper meals. But not in a prissy, cheffy way. Each one is approachable, and broken down to a very low level. Every description has steps in there for how children and babies can have the same food (for all his professional training with Raymond Blanc and Delia Smith, Alex runs many cookery classes for children, and it shows). Do you know the best thing about the recipes? They are all for two people. This is the number I cook for most often, so it’s so appealing to have recipes easily multiplied up. But that’s all technical details, what about the food? It’s all just excellent, home-style food with influences from every continent. There are stir-fries, roasts, pizzas and many more. I’ve learned so many things from this book that I’ve stuck straight into my everyday repertoire – like how to cook a potato pancake perfectly every time, I must’ve made nine times this year. Or how to make an unctuous and delicious sauce like I’ve always dreamed of. It is a book that reads very well, and eats even better. It’s smart cookery, by spending a lot of time on the base recipe you can have five very different meals with it, all of which are great. This is a truly good cookery book – add it to your shelf now. Perfect for: everybody, everyday. Cheesy but true. Such great books to choose from this year. What was your standout cookbook this year? This entry was posted in cookbooks, cooks, food and tagged alex mackay, jamie oliver, yotam ottolenghi on December 3, 2012 by Gary. This competition is now closed. Many thanks for all your entries. So many ideas in there, both inspired and crazy! The winner has been notified by email. 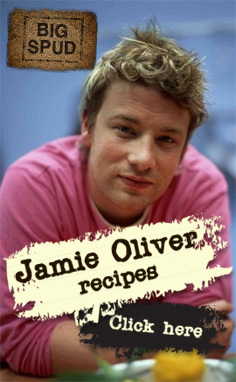 You can’t move far around this blog without bumping into a Jamie Oliver recipe. It’s fair to say I’m fan, having decked out my kitchen with branded crockery, bakeware, utensils and knives. I even owned a Flavour Shaker . 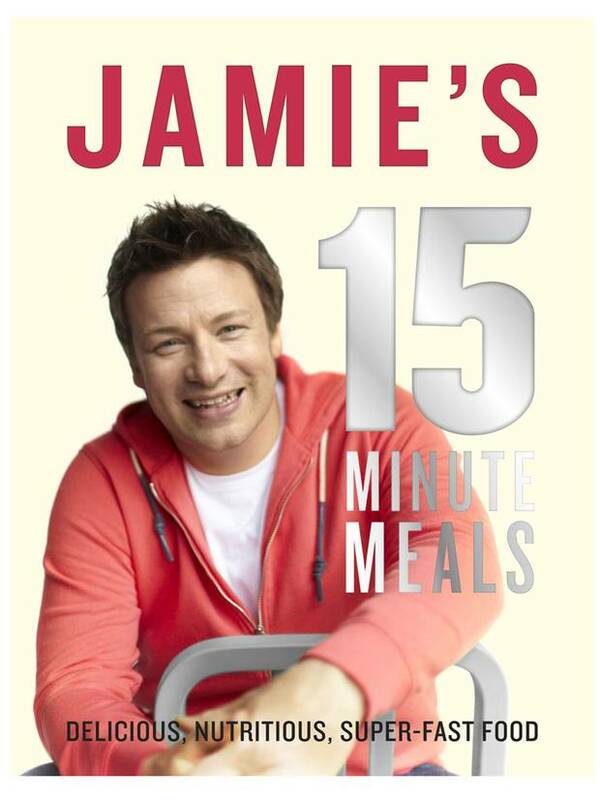 After the rip-roaring success of Jamie’s 30 Minute Meals , we now have Jamie’s 15 Minute Meals . Not content with resting on the success of this book, he took a step back and realised more could be done with a tighter focus on a single, substantial dish. I’ve tried a few of the recipes out already and I’ve been impressed with what you can achieve in a short time so far. I’ve already blogged a few of these: golden chicken and chilli con carne meatballs. What’s your best time-saving kitchen tip? Competition closes 8pm 28th October. Comments posted after then won’t be counted. I’ll pick the winners at random using some fancy random number generator. If the winner hasn’t replied within one week, someone else will get it. Only people from the UK please. Additionally, I’ll only post to a UK address. Any answer along the lines “I get the wife to do it” or “I have the kebab shop on speed-dial” will be tutted and sighed at, and not counted. Get into the spirit of things, people! 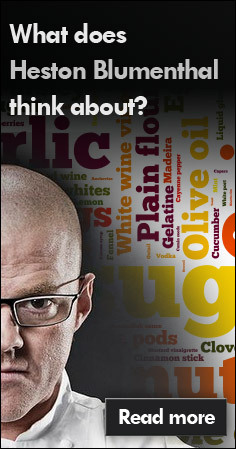 This entry was posted in competition, cookbooks, cooks, food and tagged jamie oliver on October 22, 2012 by Gary. 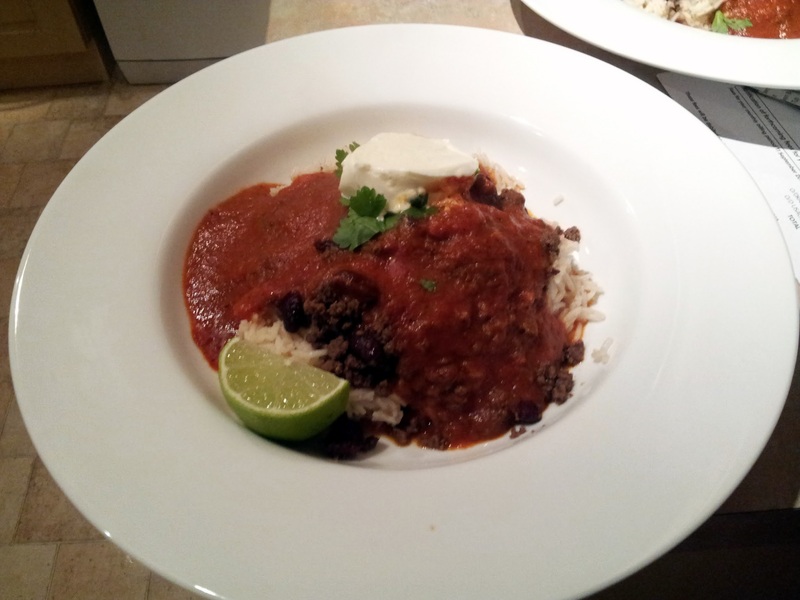 This entry was posted in beans, chilli, cumin, food, lime, peppers, rice, tomato and tagged jamie oliver on October 21, 2012 by Gary. Jamie’s 30 Minute Meals was a literary behemoth, tearing up the records for fastest selling non-fiction book, and causing many snooks to be cocked in its direction. But for people willing to give it a proper chance, approach it with an open mind and “get in the 30 minute frame of mind” it was a way to push what you can achieve in a small amount of time. Aim higher! I was certainly taken it with it, and gave me some great ideas how to make the best use of your time. Take the food processor: previously left for weekend projects, I now employ it 3 or 4 times a week to chop, grate or slice things in a flash. What’s that coming over the hill, is it a monster, is it a monsterrrr? No, it’s another Jamie book, poised to take over the world. And this time it’s Jamie’s 15-Minute Meals . Yes, half the time. And the knives are already out in a pointless linkbait exercise. But I was approaching it with energy and excitement. Flicking through, much like 30 Minute Meals there’s a wide variety of cuisines that should satisfy your mood. There’s an obsession with serving everything on wooden boards which I really like but isn’t practical for most dinners. Towards the end of the book there’s also a weird section that doesn’t really belong, talking about muesli and other breakfast odds and ends. Granola aside there’s definitely loads I will be trying over the coming months. I picked out a handful to try straight away and started with this golden chicken recipe. I hit a snag immediately. Jamie juggles a frying pan, a saucepan and a baking tray on the hob simultaneously. I have a regular 4-burner hob, and this just won’t fit. Maybe all the recipe testing was done on a 5-burner but this was automatically going to put my time back as I couldn’t multi-task as effectively. And this leads me on to another issue: there are no timings given for anything. It’s just “do this, then this, by this time the first thing will be ready.” But if for whatever reason you can’t stick to the timeline you don’t have a way of knowing how long things should take. If you are a confident cook this isn’t a problem but I can see it being a real boundary for a lot of people. These issues aside, the dinner was very good, although it took me 28 minutes. Best of all was capturing a really good potato gratin in 15 minutes, that really is impressive. So do try out the 15 minute recipes – but do read it all carefully before starting. And don’t get hung up on the time and focus instead on creating great food quicker than you would expect. That’s the key. Get a large saucepan filled with boiling, salted water over a high heat. Finely slice the potatoes and tip them in. Get a large roasting tray over a hob with a little oil in, and after passing the peeled onions through the food processor throw them in the pan. Crumble in the stock cube and sage, and stir often. Spread out a large sheet of greaseproof and lay the chicken on. Scatter over some salt, pepper, sage and rosemary. Fold the paper over and using a rolling pin bash to about 1.5cm thick. Get a frying pan over a medium heat and fry the chicken in a little oil. Flip as they turn golden in colour. Warm another pan and add a dash of oil. Wash and finely slice the leek, and then add to the pan. Get the grill on high and drain the potatoes. Tip them into the pan with the onions, spread into a single layer and pour over the cream. Grate over the parmesan and bung under the grill until the edges are catching golden brown. Slice the bacon and add to the chicken pan. Add the spinach and the peas to the leek’s pan, add some seasoning and toss well. Cover and leave until the spinach has wilted, and then serve the chicken with the greens and potato fresh from the grill. 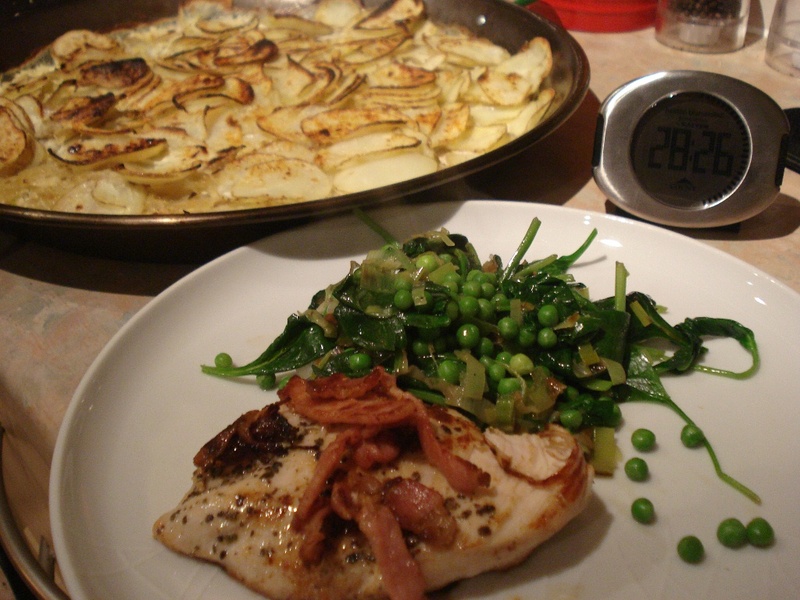 This entry was posted in bacon, chicken, cream, food, leeks, peas, potatoes, spinach and tagged jamie oliver on October 13, 2012 by Gary.